CIO & CSOs: Think Like A CPO | Blue Mountain Data Systems Inc. The roles of C-level executives are constantly changing these days due to a number of factors. Technological advices are the main culprit, leaving everyone scrambling to keep up. Many CIOs and CSOs are faced with the responsibility of creating or reviewing contracts with outsourcers, contractors, cloud services providers, etc. CPOs create a library of clauses that they can put into a contract when needed. These clauses have to be kept up to date, of course. “CIOs and CSOs need to standardize those clauses and make them available in a central repository so anyone trying to write a contract can use that particular clause,” says Amol Joshi, SVP, of California-based Ivalua, Inc. When it comes to vendor certificates and certifications, a monitoring system is critical. CPOs know that they need to ensure that their providers have, say, paid their bills for their liability insurance, or that any new personnel assigned to a project have the required professional licenses. Letting things slide can result in big problems down the line. “CPOs are using technology platforms that make that information available instantly to both suppliers and to the enterprises,” said Joshi. CIOs and CTOs need something similar, he said. 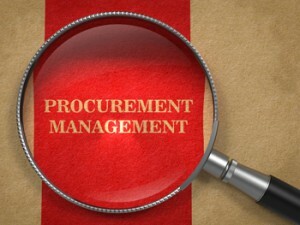 Procurement departments have staffers who are experts in ensuring that vendors stay compliance on a day-to-day basis. “CIOs and CSOs should leverage those skill sets,” Joshi said. For more CPO tips and tricks, see the full article on CSO Online’s website.